I opened my computer and pressed a random key. As always, my default screen, Google search, stared at me. I found one I liked. I approved it price, $28. The server added my selection. Can servers grimace if a selection is not quite right? I filled out my credit card information. The website accepted the information that I provided. It must have liked it. Instantaneously, an email notification popped up on my screen. I went out of town for 5 days. Upon my return, three packages waited for me on my desk. 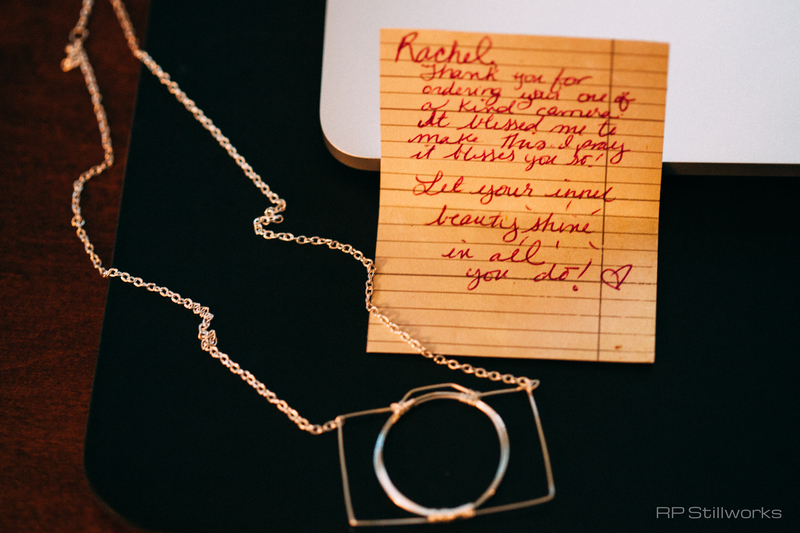 Wrapped in a tiny box with a business card taped to its lid, the dainty necklace had arrived. I opened the box and found the dainty necklace hanging from a pretty piece of decorative paper. I could tell the paper had been perfectly cut to fit the box. Taped to the decorative paper was a note – a handwritten note from the dainty necklace’s maker, who had randomly entered my life via a Google search. Her note, written in her red- ink cursive handwriting and beginning with my name, was a bonus gift with purchase. This woman had delivered to me, a stranger, a piece of her craft and a piece of her. Human interaction doesn’t have to be lost in a computer transaction, but it’s up to us to infuse our computers’ inputs and outputs with professionalism, goodness and warmth. The human job, customer service, is in our hands.